One of the original models in Cordoba's Luthier Series, the Cordoba C10 is built with a solid European spruce top with solid Indian rosewood back and sides. The C10 features a fan bracing pattern, which gives the center of the soundboard more surface area to vibrate and respond to the tension of the strings. A more responsive soundboard makes the guitar louder, and provides better tone. The C10 is the perfect choice for the serious classical guitarist, or for any player looking to upgrade to a concert-level instrument at an affordable price. Like every guitar in the Luthier Series, the C10 is built with Spanish heel construction, where the top of the guitar is attached to the neck, the sides are added next, and the guitar' body is sealed by the installation of the back. This construction feature allows the entire instrument to vibrate as one unified piece. The C10 has the neck shape and flat fingerboard characteristic of traditional classical guitars, and includes the added benefit of a two-way truss rod built into the neck. Cordoba recently expanded upon the C10, offering two new options that appeal to guitarists from all backgrounds: the C10 Parlor, which has a 7/8 size body shape and 50mm nut width, and the C10 Crossover, which is a full size guitar with a slim neck profile, radiused fingerboard, and 48mm nut width. I did my home work and it paid off this is an unbelievable guitar,Some of the other classical premadonna builders should take note of this type of quality let alone the price ! All solid wood, rosewood b-s/spruse top/adjustable truss ! Less than a grand,worth twice as much! .I have been playing classical guitar for over 30 years and own several guitars including a concert guitar. The C10 comes close to, if not matches, the quality of a concert classical guitar. The wood selection is impressive. The spruce top's bearclaws give it character. The tuners hold the tune pretty well. The intonation across the fingerboard is perfect. The action is at standard height out of the box (which I ended up lowering by .5mm at the 12th fret). The bass is loud but does not overpower the trebles. The guitar retains its loud volume even at the high registers. The construction is clean all throughout with no visible flaws. The spruce top will open up in time, but it already shows signs of being a great sounding guitar. This is a great guitar that will definitely inspire students and enthusiasts alike. I use my C10sp mainly to study and play classical music at home. I own another classical which I use for gigs. I don't want my C10SP to get bumped up and scratched. The sound is well balanced with excellent bass and crisp trebles. The intonation is perfect across the fretboard. The action was standard so I lowered a bit to my taste. 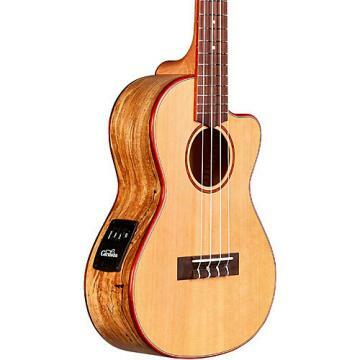 The wood is beautiful, the spruce top has a nice color with bear claw marks that makes it unique. The rosewood back and sides has a nice color with a beautiful rose/brownish grain. The tuners are beautiful as well and functional as it keeps the guitar tuned very well all the time. 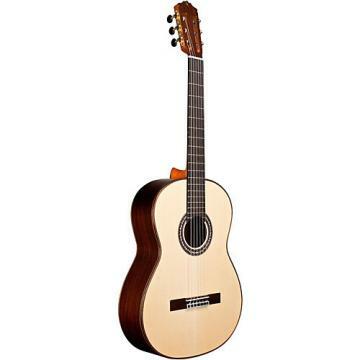 The C10SP is an excellent classical guitar at an incredible price. .Every guitar is different. This one is a rare find. .As my first classical guitar, I love it. It is easy to play and sounds amazing. The bass and trebles are even. Money well spent!